Say hello to Uncle Martian! A well-known international sports brand may have just met its match in China. 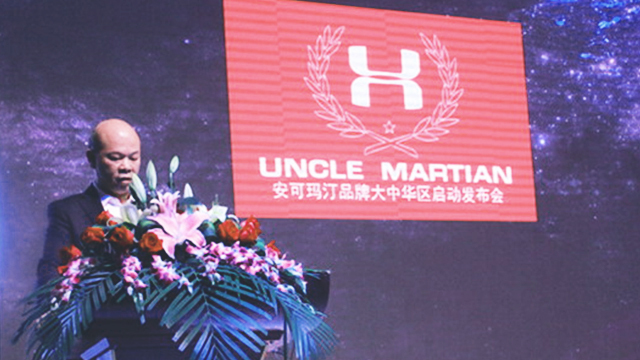 Yup, that’s the logo of the Uncle Martian, a Chinese sports brand that was launched earlier this week. With barely one week in its existence, it has already gotten a lot of heat due to its striking resemblance with Under Armour. 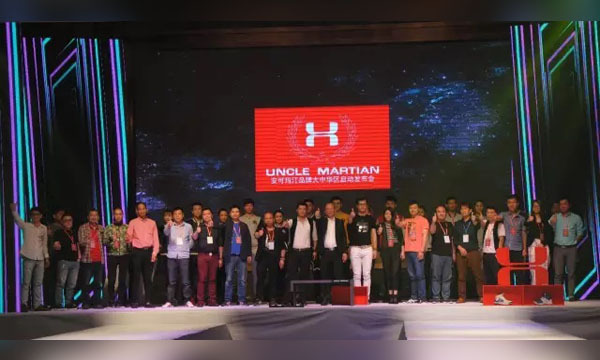 According to the Shanghaiist, a Fujian-based company called the Tingfei Long Sporting Goods is the parent company of Uncle Martian. For 25 years the company has been in the shoe manufacturing business, making quite a name for itself for its creation of off-brand sneakers. Speaking in front of the media, Tingfei’s General Manager Huang Canlong said that the company would like a part of the branded shoe market in China which is dominated by foreign brands such as Nike and Under Armour. China is well-known for its creation of boot-legged sports material from famous brands. Just last year, Michael Jordan lost a case against Qiaodan, a company that sells copies of the Nike Jordan brand. The Chinese Supreme Court dismissed Jordan’s appeals, saying that there was insufficient evidence that the sportswear referred to the former NBA player. This is despite the company using his player number 23, a silhouette that resembles the famous “Jumpman,” and that Qiaodan is the transliteration of “Jordan” in Mandarin.